Thank you so much for all your support and encouragement I love this community, I have learnt so much, enjoyed every minute, made friends,traveled the world through your photos and used my cameras nearly everyday and posted a photo each day without missing. I hope I can keep it up!! Thank you for stopping by, leaving encouragement and favours all of which are helpful and most definitely very welcome, see you all in year 7!! wonderful variety of shots .. congratulations on starting year 7! Congrats all lovely shots. That lone tree stands out! Great collage I meant to do something similar for finishing 3 Years never got round to it though! Nice idea! Easy to pick out one that particularly appeals! A fantastic selection of images. Well done in completing so many years. It certainly is a fun site to be part of. A great display of the best of each month. Glad to hear your "signing on" for another year. I love looking at the countryside in your neck of the woods and your creative talents. 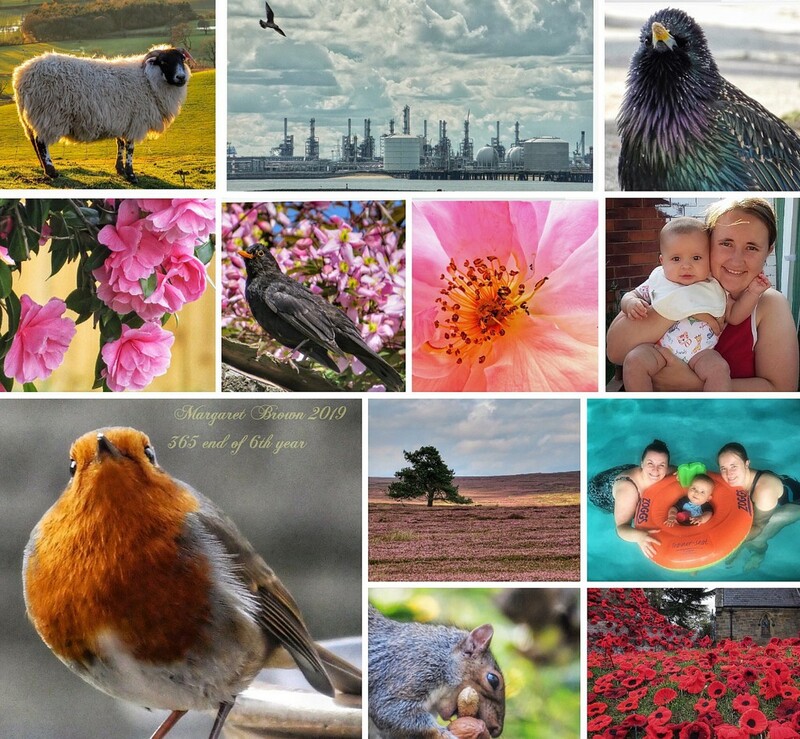 Fantastic collage of your beautiful photos! Congrats!!!! Grand collage to celebrate! Congratulations on 6 years, and what a beautiful collage of images to celebrate the beginning of year 7! Lovely. Congratulations on another year finished. I love your collection of photos from last year. 365 becomes addictive - I'm close to the end of my 8th year and enjoy it as I did on the first year. Beautiful pictures in this lovely collage. I remember most, if not all, of them. Glad you are staying on. Wonderful collage and I'm glad you are continuing, Margaret. Wow - well done Margaret. You have stamina - although as this is such a wonderful and supportive site I never think it is a chore but something to look forward to even if we can't get on every day.